You know I cannot resist a cute animal print, so naturally when I saw this sweater I absolutely had to snag it. This weekend was literally perfect for sweater weather. Didn't even need a coat! Anyway, hope you all are having a great Monday! Aw that sweatshirt is adorable! I love your bag too! I love this outfit it's so cute! And your handbag and shoes are amazing! I love animal prints. I really want a pug T-shirt at the moment! they really seem into each other!!hahaha. cute outfit my girl!! u rocked it as always!! Aw, I love quirky print oversize sweaters. They make winter dressing slightly more fun! An animal print that is also a heart?! I don't think it gets much better! 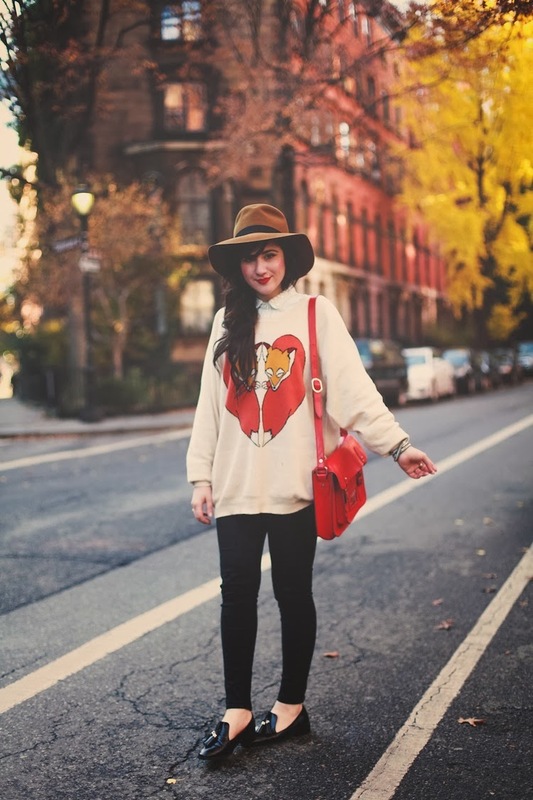 you always have the most quirky and sweet sweaters! 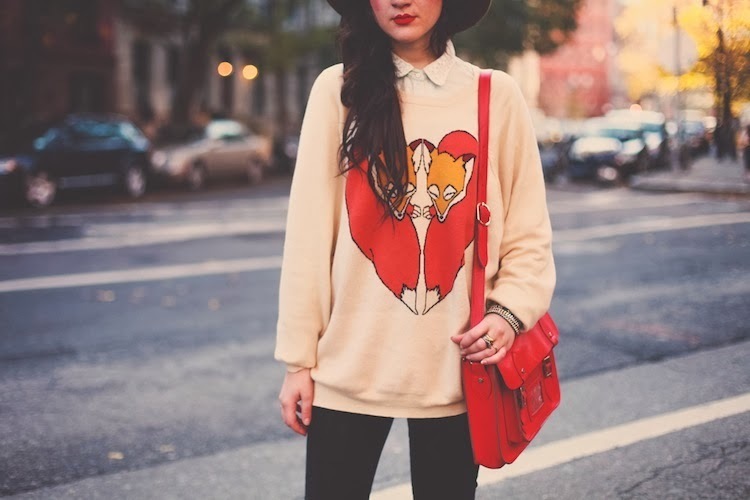 Amazing sweater, it's so cute!